Copyright is a type of intellectual property protection provided by the United States government for, published or unpublished, "original works of authorship" in literary, musical, dramatics, artistic and visual fields. 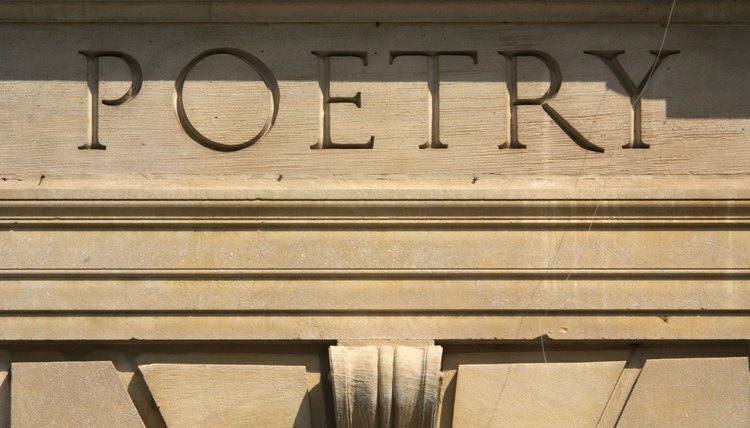 Poetry is automatically protected by copyright the moment it is conceived and placed in a fixed form, such as written electronically or on paper. Copyright registration is not necessary; however, it offers advantages, such as providing public notice of copyright ownership. Though you may sue for copyright infringement even without registration, a valid registration enables you to potentially collect statutory damages and attorney fees. Copyright registration also provides prima facie evidence - a rebuttable presumption of truth - of copyright ownership in court. Proper application forms for copyright can be obtained from the U.S. Copyright Office's website. For poetry, you will need Form TX. Complete and mail the completed application, copy of your poetic work and filing fee to the U.S. Copyright Office at the address indicated on the application form. Applications may also be filed using the U.S. Copyright Office's electronic filing system, known as eCO. The application process can be complex, so hiring an attorney or using an online legal document preparation service is recommended. Although no longer required by law, copyright notices should be used when publishing poetry. This gives notice to the public that the work is protected by copyright. It also provides contact information for persons seeking permission to use the work. Notice of copyright is typically shown with the symbol © or the word "Copyright" followed by the year of publication and copyright owner's name. Copyright law in the state of Illinois, like all states, is governed by federal law. The U.S. Constitution vests in Congress the power establish copyrights, which was most recently done by enacting the Copyright Act of 1976. The act gives the authors of original works exclusive rights in their works, which applies to the work as soon as it is created in a fixed form, such as a document, video or audio recording. There is no requirement to register the copyright with the U.S. Copyright Office; however, registered copyrights receive greater protection and remedies than unregistered copyrights.